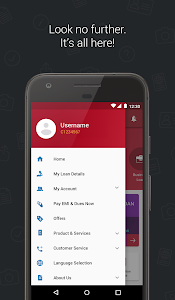 Dear User, to retrieve your username & password to log into the app, please send the below SMS to +91-8390306070 from your registered mobile number with Capital First. For example, if your date of birth is 21st June, 1987, please send the SMS LOGIN 21061987 to +91-8390306070 from your registered mobile number. 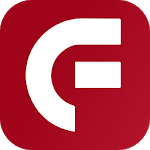 This app has been recently launched by the company. We have tried our best to keep it simple & easy to use. Kindly provide us feedback, & point out issues if any. We are working hard to incorporate all your thoughts as soon as possible. We are grateful to you. The founding theme of Capital First (Founded 2012) is that there exists a huge unmet & under-served need for financing India’s 50 million MSMEs & its emerging middle class, which can be addressed by using new age technologies instead of using traditional models of financing operating in India since decades. Within a short time of 5 years, Capital First has built a large network for providing loans in 222 locations across the length & breadth of the country. The company enjoys the highest long term credit rating of AAA. Capital First is entirely focused on building an institution on strong pillars of ethics, values & high corporate governance. 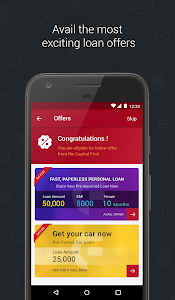 Welcome to the Capital First app, your one stop solution for most of your financing needs. 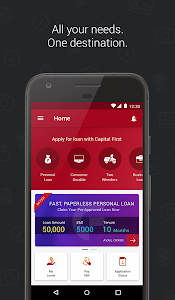 For existing customers of Capital First, this app eases most of your servicing needs such as loan account details, loan statements, raise customer service requests. 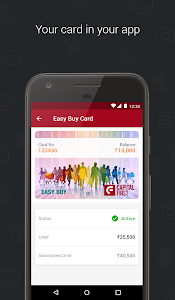 You can easily see outstanding dues if any, & such outstanding EMI or overdues can be paid instantly using this app. - Business Loans: Apply for MSME loan from Capital First to meet your short term working capital needs, or long term loans. -- Loan Against Property: Capital First’s Loan against Property allows you to borrow by mortgaging your property as collateral. - Personal Loan: No matter what your financial needs are - unexpected expenses, a medical emergency, school or college admission; whatever the occasion, Capital First Personal Loans can help you meet your needs. 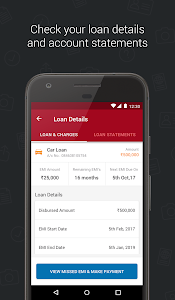 - Consumer Durable Loan (short term loans for <1 year, no prepayment or foreclosure charges) : Apply for EMI loans without a credit card with 0% interest & low down payment with Capital First. There are no prepayment charges or foreclosure charges on these short term financing consumer durable loans.